If you are looking to improve the appearance or functionality of your teeth you may be considering a wide array of cosmetic procedures. Two very different procedures that may be viable solutions for you are dental bonding and porcelain veneers. To prepare your teeth for dental bonding, your dentist will roughen the surface of your teeth so the bonded material will adhere properly. The dentist will then take a tooth colored resin and mold it to the correct shape and adhere to your tooth. Then, a light or laser is used to harden the material. Your dentist will smooth, color correct and shape the bonded material throughout the process until it is perfect. Dental bonding is typically used to fill small cavities or improve the cosmetic appearance of teeth through changing the shape or color of the teeth. Porcelain veneers are thin pieces of porcelain shell that are cemented to the front of your teeth. The shells can be used to change the appearance or shape of your existing teeth as well as the color. Porcelain veneers require two or three dental appointments to complete the procedure. The first appointment will be used to assess your needs and determine the best course of action. If you decide on porcelain veneers, you may need a second appointment to have your teeth prepped. 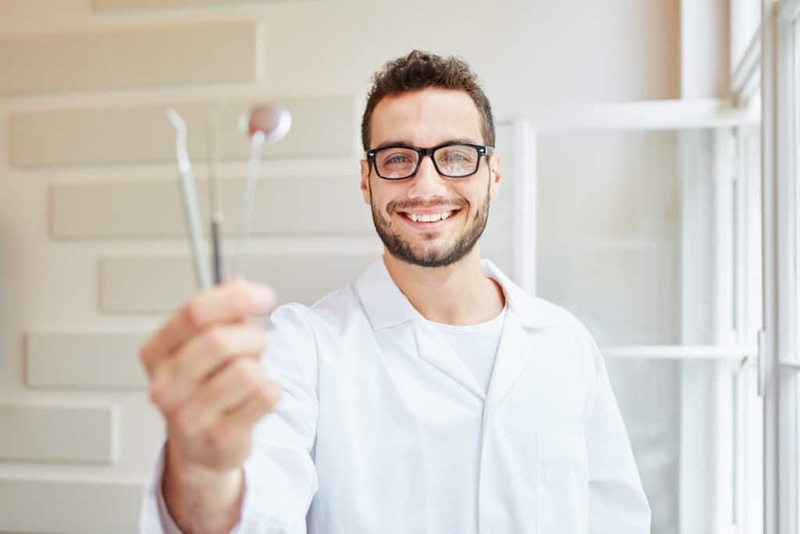 The dentist will take a mold of your existing teeth and remove a thin layer of enamel to make room for the veneers and aid the bonding process. While your permanent veneers are being created, you may receive temporary veneers. During your final visit, your permanent veneers will be fitted and bonded to your teeth. Veneers last around 10 years and are typically the most durable option. One of the biggest benefits of dental bonding is the cost. The procedure is relatively inexpensive when compared to veneers with dental bonding ranging between $300 – $600 per tooth. Your insurance may help cover some of the cost if there is a structural or dental health issue that necessitates the bonding. In addition, dental bonding is a relatively easy process that can be completed in one dental visit and does not require the removal of a large amount of enamel. While dental bonding is an attractive option, it does come with some down sides. The bonding material is not as permanent or sturdy as porcelain veneers, which makes them susceptible to staining over time and less durable. If you are a smoker or frequently drink red wine, bonding is probably not the best option for you. Bonded teeth also chip easily and only last 3 to 7 years. If you are not committed to caring for your bonded teeth, they will lose their pearly white appearance and will deteriorate quickly. The biggest benefit to porcelain veneers is their durability and longevity when compared to bonding. Porcelain veneers typically last around 10 years and are more stain resistant than bonded teeth, which can be helpful in maintaining the appearance of your teeth. The largest drawbacks to veneers includes the cost and time they take to complete. Veneers average around $1,300.00 per veneer. If you need multiple veneers, the cost will quickly add up. If you are trying to decide between bonding and veneers, call our office. The first thing is to determine what your long-term goals are. From there, our dental professionals will walk you through every option available and work with you to decide what is best for you.